Boyds, Md. 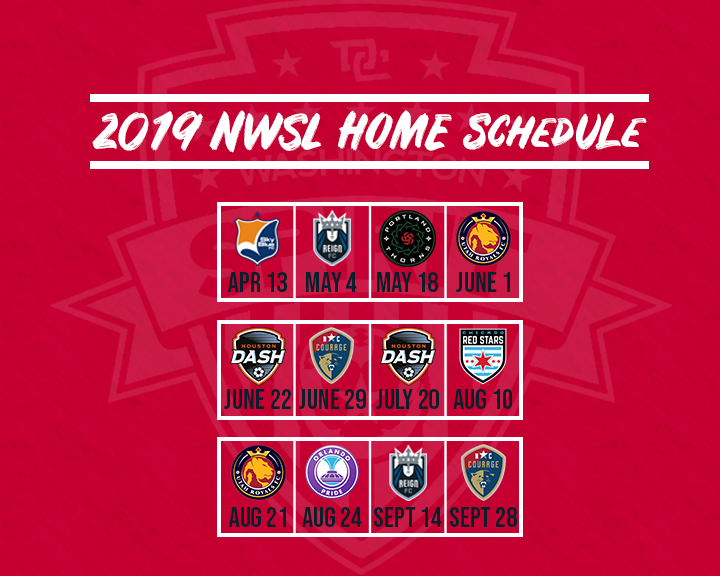 (4/4/19) – The Washington Spirit are proud to announce the club’s 2019 broadcast schedule with Monumental Sports Network and NBC Sports Washington. The broadcast schedule is part of a groundbreaking partnership which will provide local TV and digital broadcasts of Spirit games during the 2019 NWSL season. All Washington Spirit games during the NWSL season (outside of the June 1 fixture against Utah Royals FC) will be available for fans to view on NBC Sports Washington. In addition, every Spirit game this season, home and away, will be available to Monumental Sports Network subscribers. With this comprehensive broadcast schedule, fans will now be able to see an unprecedented level of women’s soccer coverage across the Monumental Sports Network and NBC Sports Washington platforms. Disclaimer: This broadcast schedule is subject to change throughout the season, and may be altered.